According to the Pulitzer website, anyone can nominate anything for a Pulitzer Prize, and Pulitzer Surprises takes advantage of that horrible idea. Eliza Cossio (The Daily Show) and Caroline Schaper (Full Frontal, Letterman) have their favorite comedians perform their submission for a Pulitzer. Then they interview a real-life Pulitzer Prize winner who has actually done something good. At the end of the show the audience will cast their vote on who deserves a Pulitzer, and then it will really be submitted for a Pulitzer Prize. That winner walks away a “Pulitzer Prize Entrant.” Show taped monthly at Union Hall and now CAVEAT. This month Eliza Cossio and Caroline Schaper welcome hopefuls Roy Wood Jr., Conner O’Malley, Catherine Cohen, Carmen Christopher, and interview Dan Fagin about his real-life Pulitzer for Tom’s River. 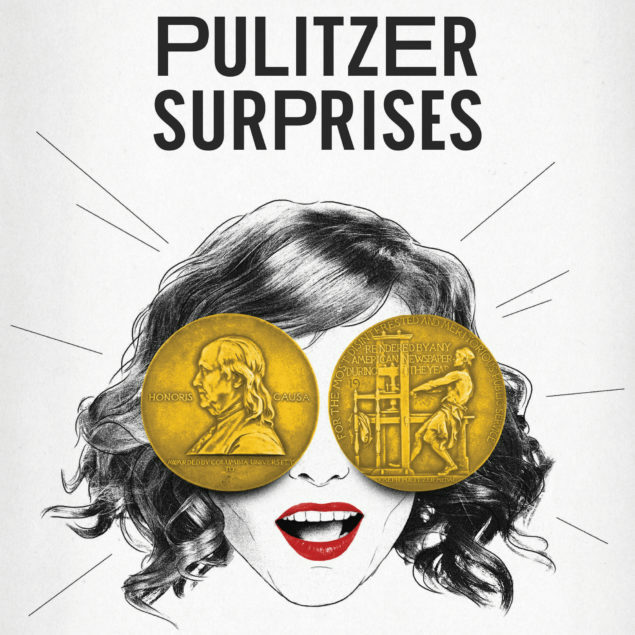 According to the Pulitzer website, anyone can nominate anything for a Pulitzer Prize, and Pulitzer Surprises takes advantage of that horrible idea. Eliza Cossio (The Daily Show) and Caroline Schaper (Full Frontal, Letterman) have their favorite comedians perform their submission for a Pulitzer. Then they interview a real-life Pulitzer Prize winner who has actually done something good. At the end of the show the audience will cast their vote on who deserves a Pulitzer, and then it will really be submitted for a Pulitzer Prize. That winner walks away a “Pulitzer Prize Entrant.” Show tapes monthly at Union Hall. This month Eliza Cossio and Caroline Schaper welcome hopefuls Daniel Spenser, Annie Donley, Kashana Cauley, and interview Sarah Ryley about her real-life Pulitzer.